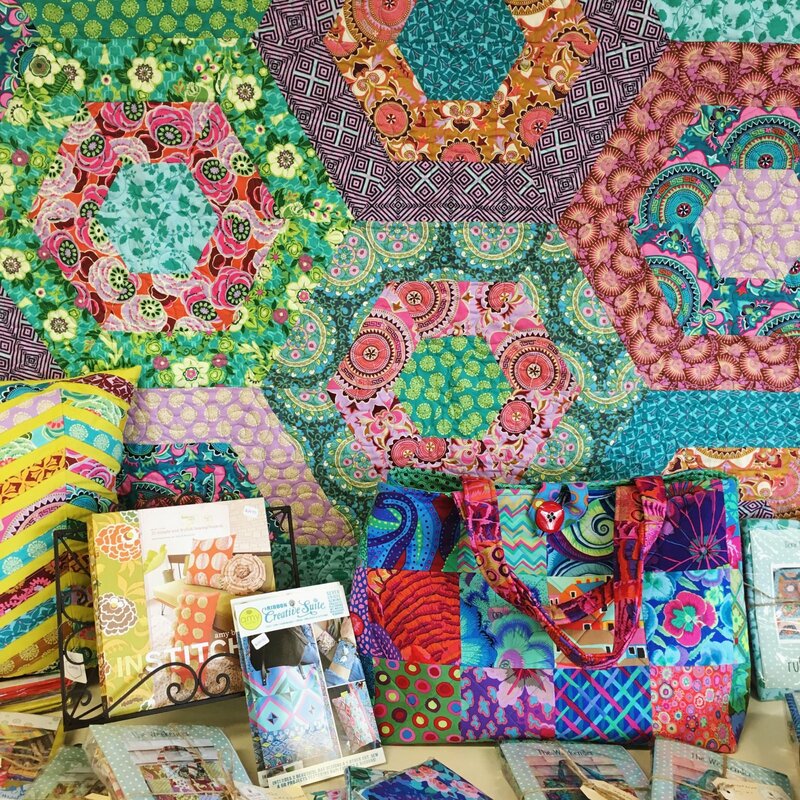 A beautiful hexagon quilt with a modern twist, would look great in any range of fabrics! We just love this one and also offer it in a brighter range of Amy Butler fabrics. Approx size: 57" x 63"
Note you will need a 12" 60 degree triangle ruler.